Ben and Sam: Saturday and another Lake Day!! 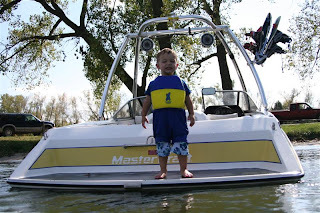 It was high 80s today - and a bit windy - but who cares about wind when its OCTOBER and we are still hitting the lake! Too bad Ben's Hook'em Horns didn't help...love how cute he looks in his little life jacket!